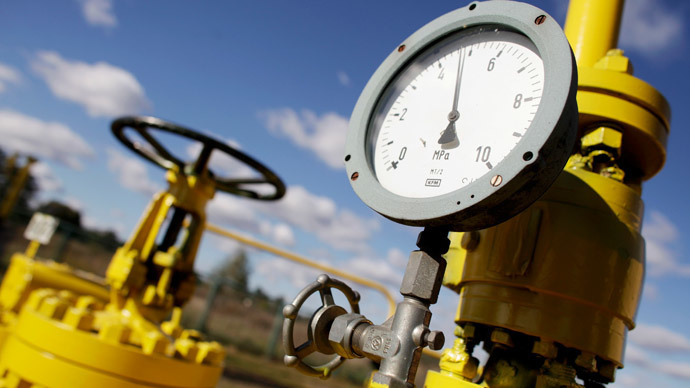 The average price of Russian gas supplied abroad will be $222 per 1,000 cubic meters in 2015. It could mean a 35 percent price cut for Gazprom supplied gas to Europe, the Russian Ministry of Economic Development has forecast. The price for Russian gas started to decline last year, as the contract price for Gazprom supplies are directly linked to falling oil prices, according to Vedomosti. Gas prices respond to the dynamics of oil prices with a lag of 6-9 months. In summer 2014 the company expected $350 per 1,000 cubic meters, in the end the average turned out to be $341, while the price of Brent in the second half of 2014 lost more than 50 percent. Next week, the management of Gazprom plans to present to the board of directors stress tests of a financial plan with an oil price of $40 and $50 per barrel based on the Ministry’s forecast. Gazprom is expected to increase supplies to Europe to 160 billion cubic meters compared to 146.6 billion in 2015. At the same time revenue will decrease by $14.3 billion to $35.5 billion if the ministry’s prediction comes true. However, the figures may change in a planned outlook revision in April and September; Vedomosti say citing the ministry. Gazprom’s sales to Europe accounted for almost 70 percent of company revenues in 2014. In recent years, the average price in the EU, according to calculations by Vedomosti, was 5 to 14 percent higher than the overall average sales price. However, $222 per 1,000 cubic meters may be unprofitable for Gazprom in view of growing production costs, said Michael Krutikhin a partner at RusEnergy, as quoted by Vedomosti. Analysts believe the price of $222 per 1,000 cubic meters the Ministry forecasts is conservative. If the oil price remains at $50 per barrel during the first half of the year, the average price of Gazprom supplies in 2015 will be higher than $300, suggests portfolio manager at Ankorinvest Sergei Vakhrameyev. He adds that this roughly corresponds to the current spot price, which is, however, always higher in the winter than in the summer.